because we mainly offer production services for art-heavy projects. After working on a huge number of visual projects in Barcelona, Budapest & Kiev, we know how to bring the best out of the concept and possibilities available. We are committed to give as much as possible to the directors and artists we are working with. Every member of our production team is also a collaborator with our partner, Kinopravda. Kinomoto is also a growing network of Central-European production houses which are collaborating and helping each other. Please don’t hesitate to contact us if you have any questions about our way of working. Our art teams are made up of young and experienced art directors who are used to working on projects which need a special approach and collaborating with all kinds of artists. We have implemented numerous art-based projects since 2012, so we have a fruitful relationship with many on the local and international art scene and easy access to all kinds of talent all around Europe. A team of art directors working internationally only with Kinomoto. Áron is a Hungarian graphic and set designer specialising in analogue and photographic solutions in his graphic works. 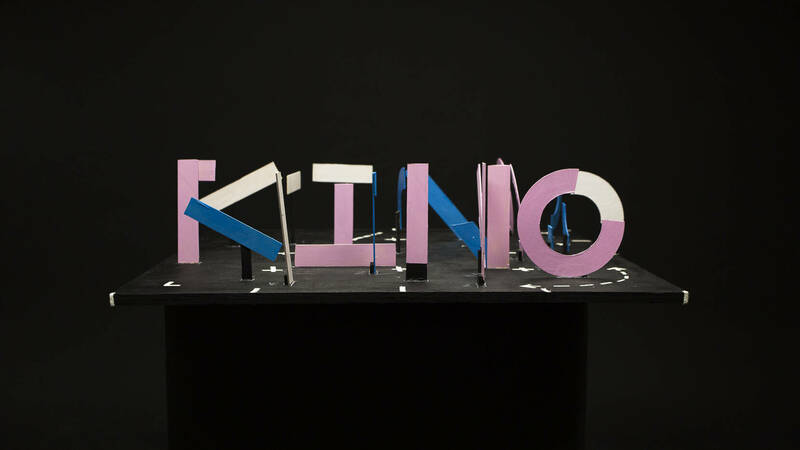 Based in New York and working at Sagmeister & Walsh, he is also a member of Kinopravda. Heni is uniquely creative, a stylist and art director, yet also has the skills to be head of art and unify and control both wardrobe and the art department. She is also a member of Kinopravda collective. Dalma Devenyi and Tibor Kiss founded Je Suis Belle back in 2005. Since then the brand has become one of Hungary’s leading fashion house as well as an internationally recognized label. Their concept is (and was from the very beginning) constantly collaborating with various branches of art especially with visual arts. They consider traditional techniques and giving contemporary frame to folk art as two of their main intellectual values. Chamo is based in Barcelona. He studied Fine Arts at UB (Universitat de Barcelona), Barcelona, and ENSBA (École Nationale Supérieure des Beaux-Arts), Paris. He’s above all a drawer but loves every field in the art world, which is why he is a great collaborator in mixed media and mixed technique film projects. Aloma is Barcelona based artist working on creative & artistic costumes. Both math and color are key elements of her work. Black horses parade in her choreographies, geometric shapes flood her videos and seditious robots slide around her mise-en-scènes. Her main profile is experimental movement and contemporary dance. She choreographs theater pieces, films, TV advertisements, music videos, live performances and events. She regulary teaches improvisation at Budapest Contemporary Dance Academy and gives workshops related pieces of her own contemporary dance company, Hodworks. A Barcelona based studio specialized in table tops and high speed cinematography. Buborék is a project which is based on the idea of making inflatable ephemeral indoor installations for events and sets for filming or photo shooting. The starting point of each project is the selection of a location, which will be the place where to build a unique and customized piece. An inflatable balloon that expands and invades the space completely by itself. The balloon grows until it fills the whole space and becomes the part of the existing architecture. A new version of the typical sea food beach restaurant right on the shore line, facing the Barceloneta with a menu focused mainly on sea food rices, (paellas) fresh appetizers and salads. A terrace with spectacular views of the ocean and the city. Elsa and Fred reinvents the classic tapas bar, with creative cuisine with subtle inspiration from international cuisine. With special care in the presentation and maximum respect for the original flavors of each ingredient. Elegant and formal with a modernist look, the unique character is the result of the balance between food and interior design. The cuisine is based in the Mediterranean tradition, going for the lighter cuisine with contemporary touches. Mercat Princessa it is a gastronomic space located in a 14th century building in the heart of the Born district. In fact, it is a mix of market , restaurants, wine shops , galleries and public space, a place where you can try both dishes and wines from different regions of Spain. Ocaña are five different spaces with a common denominator: creativity. Café, Bar, Restaurant, Apotheke, Terrace. Menu is inspired by the typical selection of cocktail bars in Berlin such as the Tausend Bar and Amano Bar. The Museu d’Art Contemporani de Barcelona building is the work of North American artist Richard Meier. The architecture is fundamentally a formal reinterpretation of rationalism, with references to the masters of the modern movement, particularly Le Corbusier. The building is shaped by a combination of rectilinear and curved elements, a geometry that is softened by the external light that penetrates into the building through open galleries and large skylights. The largest museum of Catalan national art, opened in 1934 in the building of Palau Nacional of Montjuïc. Today his collection - a large number of Romanesque frescoes, paintings, since the Middle Ages and ending with the first half of the twentieth century, as well as temporary exhibitions. In addition, through the display windows of the museum offers a spectacular panoramic view of the city. Contemporary Culture Center of Barcelona, with interesting temporary exhibits, great bookshop and spacious theater. Pablo Picasso Museum, with a rich collection of works by the author, as well as temporary thematic exhibitions. New Market is located near the old one, by the way one of the oldest flea markets in Europe, and not notice it very difficult, because market covered impressive huge mirrored canopy, which can be called the third architectural dominant of Glories Plaza district, along with Jean Nouvel’s Torre AGBAR and design - center DHUB. Definitely one of the best wine restaurants in Budapest, named after the renowned Hungarian wine producer József Bock. Offers much more than the double treat of coffee and sunbath on the terrace from early spring to late autumn: they are passionate about serving delicious food all through the year. Translated „Winekitchen”, as they see it, is a blend of a French-style bistro and a contemporary family restaurant offering the best of Hungarian cuisine. MÁK’s concept is to offer state-of-the-art gastronomy to foodies from all walks of life, in a relaxed unpretentious atmosphere. With its top quality gastronomy and wine special- ties, this is the first ever Michelin star restaurant in Budapest. Daytime everything is given to the classic coffee house atmosphere: fresh daily press and specially grounded coffee. In the late afternoon good wines and palinkas become more and more popular, the place is getting crowded. The reincarnation of a Ukrainian stone-carrier ship, A38 began a new life on the Danube in Budapest as a cultural venue with a wide range of jazz, world and electronic music, contemporary and rock bands and musicians. You can find only Hungarian wines in this Italian flair wine bar. Each week a different young Hungarian winemaker introduces his own selection. Szimpla Kert is the pioneer of our ruin pubs. It is really a cult place giving new trends. Undoubtedly the best known ruin pub among the locals and the tourists, as well. Get lost in one of the best party venues of Budapest. There is always something jaw dropping going on. Easy to arrive but hard to leave. Housed in a grand neoclassical building, the Museum of Fine Arts is home to the city’s most outstanding collection of foreign works of art, ranging from articles from ancient Egypt and ancient Mediterranean cultures to stellar collections of Spanish, Flemish, Italian and German art. Housed in the architecturally controversial Palace of Arts north of Rákóczi Bridge, the Ludwig Museum holds Hungary’s most important collection of international contemporary art. Unicum, the thick medicinal-tasting aperitif made from 40 herbs and spices, is as bitter as a loser’s tears and a favorite drink in Hungary. To delve into its history, head for this small museum, which starts with a rather schmaltzy video, has an enormous collection of 17,000 miniatures from across the globe and concludes with an educated tasting session. The headquarters of the dreaded secret police is now the startling House of Terror, focusing on the crimes and atrocities of Hungary's fascist and Stalinist regimes in a permanent exhibition called Double Occupation. The reconstructed prison cells in the basement and the Perpetrators' Gallery, featuring photographs of the turncoats, spies and torturers, are chilling. Home to more than 40 statues, busts and plaques of Lenin, Marx, Béla Kun and others whose likenesses have ended up on trash heaps elsewhere, Memento Park, 10km southwest of the city center, is truly a mind-blowing place to visit. One of the largest bathing complexes in Europe, the premier medical baths of Pest-Its thermal springs were discovered in 1879; they are the deepest and hottest (74-75C.) thermal wells in the capital. The neo-Baroque baths were built in 1913, the swimming pool in 1927. The open-air sections with their pleasantly warm waters are equally popular in winter. One of the most popular baths for tourists visiting Budapest. The medical spring here was already famous in the 13th century. The spa is decorated with a wealth of original Art Nouveau furnishings, artistic mosaics, stained glass windows and sculptures, although the interior of the hotel built alongside has lost many of these fittings over the years. The bath was built in 1550, and then reconstructed by Pasha Sokoli Mustafa in 1566. Some of the Turkish-period features are still used today: the octagonal pool, the four small corner polls, each with water of a different temperature, and the characteristic Turkish dome. Rudas is open at night every Friday and Saturday — let’s go night bathing!